We have various fabrics to customise, and you can now even print on Lycra. Our custom Lycra and Scuba range is stretchy, making it ideal for everything from custom leggings, spandex body suit costumes, to cycling shorts. Printing on Lycra fabric results in strong and durable textiles which hold print and colour beautifully. The things that they all have in common is an extremely high elasticity, a soft-touch and a smooth face. 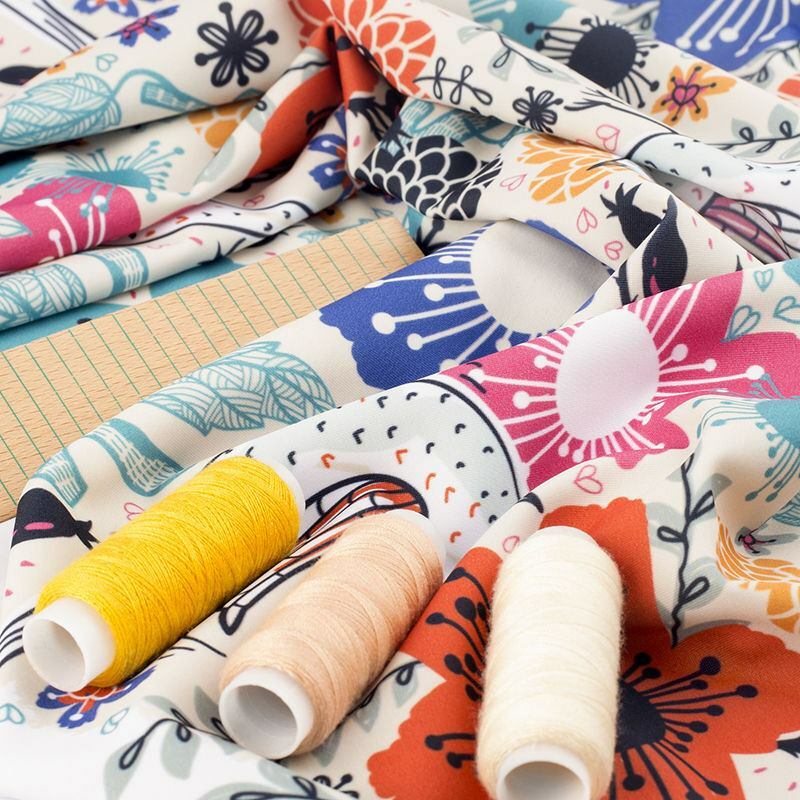 Brilliant for crafting, clothing and dressmaking, as well as bags and accessories this versatile printed Lycra fabric is ideal for your next project. Thanks to its extremely fast-drying properties, Lycra is also great for swimwear. I am thrilled with my order. I also love that any misprints are also provided. Super quality and service. I have just placed another order. Thank you Bags of Love! Lycra or Spandex is a synthetic material which has an exceptional amount of stretch. Invented in 1958, and introduced in 1962, it has drastically impacted a lot of the clothing market. Spandex is actually an anagram of the word expands, which is exactly what this amazing material is known for. Lycra has a great number of uses from wrestling and gymnastics apparel, to sportswear, leggings, skirts, underwear and swimsuits. Lycra is also widely used in compression garments, and for cosplay. When printing on Lycra we use digital printing methods that are done with environmentally friendly inks to create a bonded, full-colour print onto your chosen fabric. Custom Lycra fabric printing can be finished in a number of ways. From having it sent exactly as it comes from the printer to cut on the line with the white edging removed. Should you prefer you can even opt to have your custom printed Lycra fabric hemmed, using black or white thread and an overlock stitch.